Cheryl Boyer is a writer and novice shutterbug whose work has appeared in a handful of journals, including Kakalak, The Main Street Rag, and moonShine review. 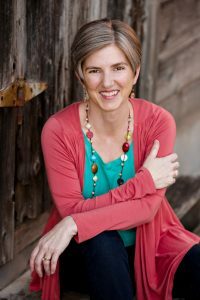 She is also the author of Counting Colors: a journey through infertility. She lives in a small town in North Carolina with her husband and two children, is a home-schooling momma, and a sometime foster mom. Though not a coffee drinker, Cheryl finds it essential to eat a bit of dark chocolate every day. You can read more about Cheryl at her blog here: www.myferriswheel.com. “Over a decade ago, in the midst of the grief infertility brings, I took a leap and finally signed up for a writing class. That class became part therapy, part fulfillment of a long-held dream to be a writer. I’ve been taking classes with Maureen ever since. Maureen offered a safe space to process my grief out loud. She nudged me and encouraged me until I transformed from a scared and timid writer into someone who is now able admit out loud that I am a writer. I have written personal essay, poetry, and fiction, much of it delving into families, how they come to be, and the relationships involved. Maureen opened the doorway into poetry and showed me that it can be a vessel that holds some of my deepest hopes and griefs and dreams.